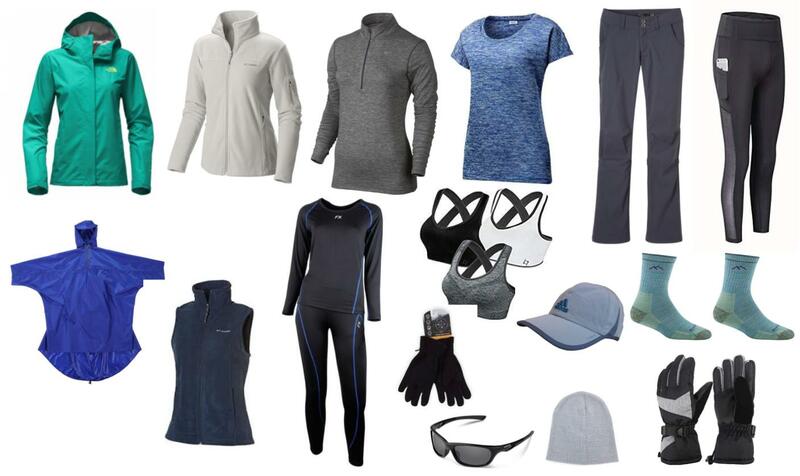 In this post we discuss a complete packing list for the Everest Base Camp trek, including clothes, gear, admin and all sorts of nifty little extras from our personal experience doing this trek. Over the last 5 years of travel we have done plenty of hikes including many cold weather, high altitude hikes in Nepal, Peru, Patagonia and 2 seven summit climbs. 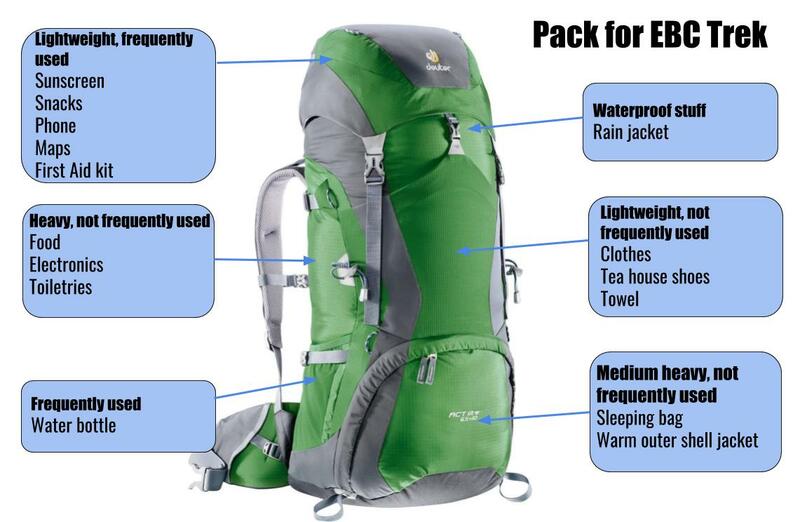 Looking back at our EBC trek this is the packing list we recommend. Permits and Admin is not always the most fun part of packing, the permits are available in Lukla and Monjo so it can be paid on the way. Local permit cost NPR 2000 ($20) in Lukla. Insurance is very important on any high altitude trek, altitude sickness is very common and since there are no roads in these mountains if you get seriously injured or sick you will have to be evacuated by helicopter which is very expensive. Most travel insurance will not cover extreme activities like high altitude trekking. Get a quote here for World Nomads hiking insurance for Nepal that covers you to 6000m (that is a ‘yes’ for Everest Base Camp at 5364m). Doesn’t matter where you live or where you are at the moment, it takes less than 2 minutes to get a quote and you can buy it online even if you are already traveling. If you only take out a policy for your trek duration it is not too pricey, starting in a couple of days? it is not too late! 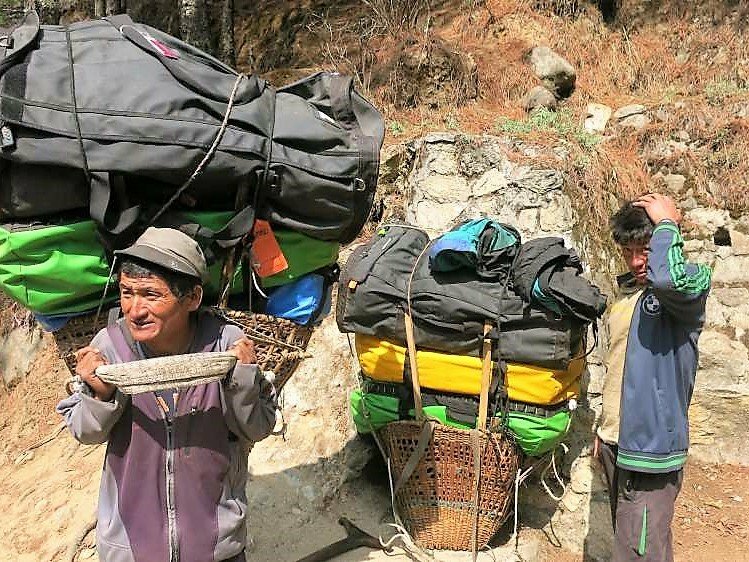 Two porters hard at work getting clients gear to EBC. There are many shops selling the necessary clothes and gear to trek to Everest Base Camp in Kathmandu. 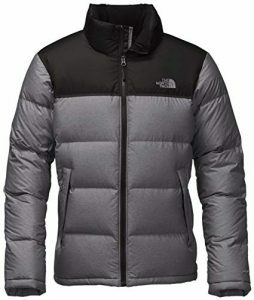 Mostly fakes of well-known brands like The North Face. Many people buy the fake gear, completing the trek successfully using this equipment. Obviously the quality is inferior and real brand names are not cheap here. 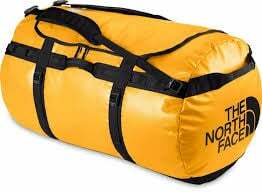 You can rent gear in Kathmandu, be careful it is often fake, I rented a The North Face sleeping bag that fell apart after 3 days of use. Authentic equipment is available from reputable shops, it is just more expensive. You are not climbing Everest so you probably wont die of cold in a fake jacket. Having something that fits, lasts and keeps the wind and rain out is just nicer and will improve your chances of finishing the trek successfully. A quality and comfortable backpack is a very important piece of equipment. I will recommend a dedicated hiking backpack from a well known brand. f you are planning to do many multi day hikes it make sense to invest in it and buy a light and good quality one like Deuter ACT or Osprey Atmos. If you go on a hike every once in a while and don’t want to spend too much on gear – buy cheaper model like Teton Escape or High Sierra Sentinel. We were traveling around Asia for about two years when we did EBC and I was using a travel pack, these backpacks such as Osprey Far Point 55 Travel Backpack is great for traveling because they are not only top loading, you can open them in front for easy packing. Travel packs also have all sorts of straps, clips and zips and they are comfortable to carry, but a backpack designed for hiking is the number one choice for comfort. Are you traveling long term and planning to do some serious hikes? for the best of both worlds go for a top quality, well designed hiking pack with easy access. Long term travel and serious hiking. Top Hiking Pack Features: Adjustable Torso Length, Integrated & Detachable Rain Cover, 3D Suspended Backpanel and Lumbar for perfect fit and comfort, a top hiking pack! 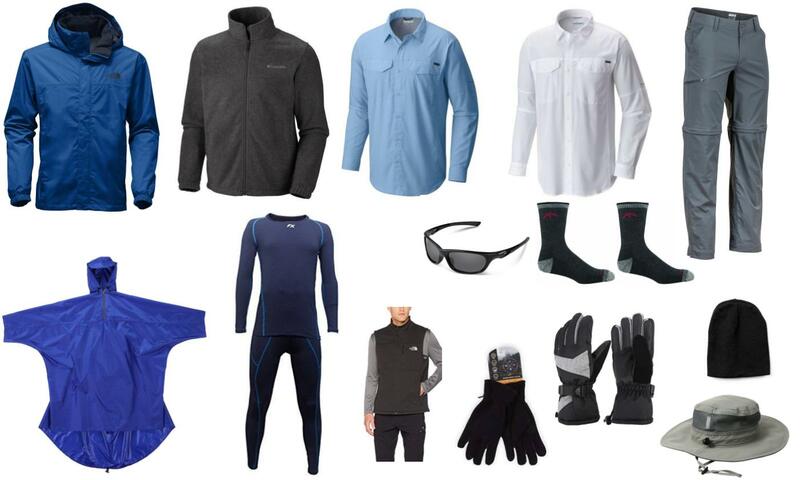 How cold and wet it is plays a very important role in what you pack for your EBC trek. There are two distinct seasons for trekking to EBC. The best months to trek to Everest base camp are in the pre-monsoon season through March, April and May or in the post monsoon season from late September, October, November. Pre monsoon (Feb-May) the weather should be largely stable and dry, great for trekking, but it can be very busy with many hikers. Post monsoon (late Sept-Nov) with less haze and clouds in this period it will normally provide better views of these spectacular mountains. This time is colder but a great time to hike to Gokyo Lakes. Dec-Feb Hiking still possible but very cold, up to -30C at night! Some times a lot of snow falls on the trail, passes might be closed. Avoid the crowds but bring proper equipment! Hotel Buddha – awesome place about $45 for double room.Want a little more luxury before and after trekking? top rated Baber Mahal Vilas in Kathmandu features 4-star accommodation with an outdoor swimming pool, a fitness centre and a garden. On a budget? The Sparkling Turtle Backpackers Hostel Nice vibe, friendly, helpful, knowledgeable staff. Good place for before or after the trek, luggage storage. $5 for a dormitory bed, $12 for a double room. Should you trek to Everest Base Camp in boots or shoes? this is a very common debate, waterproof is very important, the need for ankle support is a personal preference. If you do not have hiking experience I would go for a higher cut for some ankle support. There are many people hiking in Nepal in sneakers. Wearing merino wool socks in waterproof hiking shoes, the temperature should not be a problem. If you like a low cut shoe – Merrell Moab 2 Waterproof or Salomon X Ultra Prime are good option for you; durable, waterproof, comfortable, have good grip. 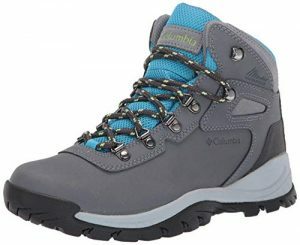 For those who prefer high-cut models – KEEN Targhee II Waterproof or more budget option – Columbia Granite Ridge. For ladies – Alya prefers a more ‘girly’ option to leather boots – shoes like KEEN Targhee II, Salomon Ellipse 2 or Merrell Moab 2 Waterproof. If you’re looking for something cheaper Columbia Dakota Drifter is a good option. We just finished hiking about 1000km, she was wearing a new pair of Salomon Ellipse, on the Camino del Norte in Spain, a mix of asphalt and trails, some very wet days and the shoes performed very well. 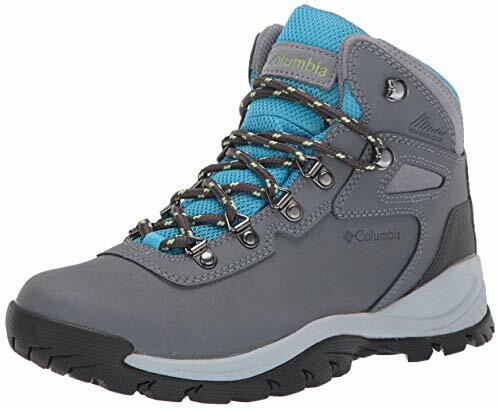 For ladies that prefer a boot cut Columbia Women’s Newton Ridge Plus Hiking Boot, is an excellent choice. What clothes to pack? – Layering is key, this popular hiking jargon just means wearing a couple of layers of clothing. Breathable clothing can help you to keep warm, dry and comfortable in changing conditions by removing layers depending on how you feel and the conditions you’re in. Multiple thin layers will keep you warmer than a single thicker layer is because warm air is trapped between the layers acting as an insulator. Clothes are arranged in 3 layers from your skin outwards; a Base layer (underwear) that wicks (draws moisture away) sweat off your skin use a synthetic material that doesn’t absorb wetness. 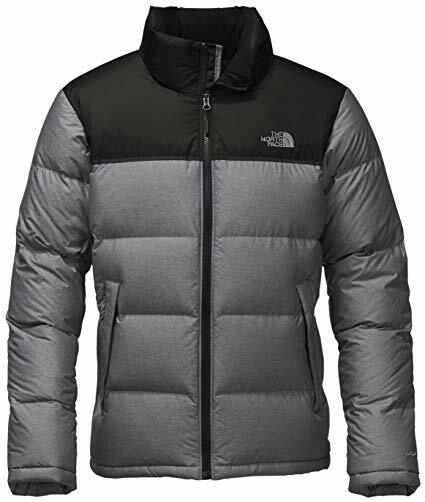 Middle layer (insulating): retains body heat protecting you from the cold. An Outer layer (the shell) waterproof and windproof. Outer Shell Rain Jacket – wind and waterproof jacket ladies or (men’s model) with hood in case of strong wind or rain. Walking EBC in April we walked most of the time in a hiking shirt and outer shell jacket, layering up with a fleece and thermal vest once or twice when walking on very cold mornings. Rain poncho – in case your jacket is not super waterproof or you want some extra protection (you might need some if you hike in rainy season). We’d recommend to buy a poncho that can fit over a backpack to make sure nothing gets wet. We always pack ponchos when go traveling – they are small and light and are often quite handy. Trekking pants – I had one pair of light fast dry hiking pants and never zipped of the legs, on one or two occasions it was very cold and I layered up with thermal underpants, which I took of later in the day. If you go hiking off season when it is very cold – warmer waterproof pants. For women I’d suggest to pack trekking pants and yoga pants. Alya always take both and prefer wearing yoga pants – they stretch easy and are more comfortable. For hiking in lower temperatures she layers up with both pairs. Fleece – Essential item. I where a fleece under my outer shell on cold days and over a thermal vest in tea houses. Check these fleeces for women they come in so many different different colors. Fleece vest– very light to pack, a fleece vest is nice for extra heat layering, ladies. Hiking shirt – Do not pack cotton, if you sweat under your jacket you will be wet and freezing underneath. Alya prefers hiking in breathable, moisture wicking, quik dry T-shirts, packing a long sleeve shirt and one short sleeve T-shirt. I love hiking in Columbia shirts, they do not absorb water so dry quickly and protects me from the sun if I take my jacket off. Quick dry if I get importunity to hand wash on the way. Sport bras – they are great for hiking and outdoors, Alya says that she prefers sport bras over normal bras. Thermal underwear – really recommend to pack it with, you can use thermals (men’s models) for sleeping and as an extra layer for hiking if it gets cold. I always take normal cotton socks for sleeping as well. Underwear – take two-three pairs with depending on a hike duration. Merino wool socks – a must have especially for long hikes. In the past we didn’t pay much attention to socks – bought any random cheap socks and used to have blisters. We’ve heard a lot from other hikers about merino wool socks and finally decided to give it a go. They do work great, now we always wear them for hiking. Some advantages of merino wool socks; don’t absorb odors, protect your feet, dry quick and very durable. For even more comfortable walk check Darn Tough hiking socks they’re famous for great foot support and blister protection. Alya likes their ladies’ models; colorful and funky. Beanie – since I don’t have much hair I often wear a beanie. Even though she has a lot of hair, Alya sometimes wear a beanie when it is very cold, pack one. Gloves – Wearing thin fleece gloves or no gloves was fine most of the time. My hands get cold very easy and I was happy that I packed a pair of winter ski gloves on one or two cold mornings, I specifically recall ascending Kalapathar warm gloves helped a lot! Cap/hat – a must have in the mountains for sun protection. Alya prefers wearing a cap, I usually takes a hat on hikes. Sunglasses – bring sunglasses for hiking in the mountains with high UV protection and polarized lenses. Pack a BUFF Multifunctional Headwear – protects your neck and face from sun burn, wind and weather. 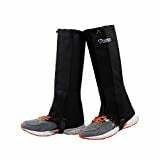 Gaiters – Waterproof Windproof Warm Shoes Cover. Your shoes often fill with water and debris from the top. Keep them dry and keep snow, debris and dust out while hiking in any terrain or weather. Trekking Poles – very popular on this trek, great for reducing impact on your knees, huge variety available. 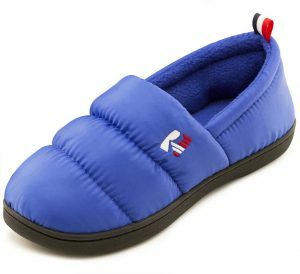 You are looking for durability, comfort, shock absorption, quality and adjustibility. TrailBuddy Hiking Sticks, TrailBuddy Hiking Sticks very well rated, good value for money, aluminium trekking poles. Aluminium is strong and a bit heavier than carbon, my advice is save some money, go for these guys! Top of the line Black Diamond Trail Pro Shock Trekking Pole, 68-140cm. Steri Pen UV sterilize device. Used by couple of other trekkers on route, looks good, quite pricey. 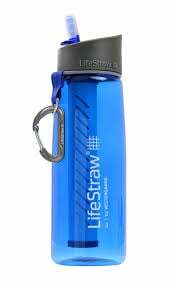 Check out this test of lifestraw, you can find many funny ones on Youtube, the point is this is a cheap, safe way to get good quality water out of taps and streams on a hike. Swiss knife We always take it with on hikes, road trip and just traveling. Usually it’s difficult to find a sharp knife in tea houses, we always used our Swiss knife for cutting, opening cans as well as for opening packs slicing when having lunch on the way. Note! Don’t forget if you fly only with hand luggage no knives will be allowed. Take a notebook in case you want to make some notes, right down names of places. Travel wet wipes are very handy if it is to cold (or expensive) to shower, we have been sitting in our tent ‘washing’ with these on countless hikes, a must on your EBC packing list. Hand cleaner easier than finding a tap and soap to wash your hands if you want to eat. It’s all up to you to decide whether to make your backpack heavier by packing a big camera with lenses or keep it light and take photos with a phone or maybe pack a GoPro for taking videos. Even without reception an awesome all in one device; taking photos and videos, listening music or audio books, alarm etc. Don’t know about you but we prefer Samsung over iPhone. I recently bought a new phone Samsung Galaxy S9 and quite happy with it. If you still don’t trust the quality of your phone photos take a digital camera like Olympus OM-D, it takes good photos and ok video, plus it is small and light. We always take our Canon 80D with but the only reason we do it because we’re bloggers if it wasn’t for that we wouldn’t even consider of taking this big camera with two lenses. Another cool and small thing that will help to capture your trek. We just bought a new GoPro Hero 6 and are quite impressed with the quality of the footage though we used it mostly underwater. Even photos are pretty good. If you have a smartphone and a GoPro no need to pack a camera as well. It’s very easy to do editing with free GoPro Quik app just connect the GoPro to your phone and in 10 minutes you’ll get an awesome video with music. Just a couple of months after we bought it they released GoPro Hero7. If you want a budget alternative check AKASO EK7000 it might be not as great as GoPro but costs less than half. I am so glad I had a kindle! Awesome to read in bed on acclimatizing days. Was carrying guide books and some books to relax with. Book suggestions, buy the ebooks to take them with you on your kindle! Pack a good, basic, light first aid kit such as this one. Altitude RX Oxyboost Complex for Mountain Sickness – natural remedy against altitude sickness, we have never used it, but it has good reviews, check here for about 500 reviews, sound like it works to me! Plasters – make sure you have enough you might get blisters Tip! If you have spots on your feet where you usually get blisters try to prevent them by first putting some vaseline on it and then plaster. If you already have blister you can use Compeed – a special plaster that you can put on blisters, it reduces the pain and protects against rubbing. There are special blister prevention patches for shoes as well. We’ve never used them but the reviews are quite good. Vaseline – you can use it for blister prevention put it every morning on your feet (some areas) before you start walking. It’ll help to reduce chafing.